Home DOMAIN NAMES Should You Use Your Name as Your Domain Name? If you want to use your name as your domain name for your business website, consider the following pros and cons. They can help you make a decision you won’t regret later on. It’s hard to find a catchy .com domain name that hasn’t already been claimed. Thankfully, in many cases your own name will still be available for you to purchase. It’s very possible that your services and products may change over time. 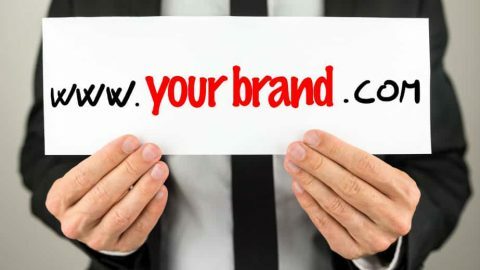 If you use your name as your domain name, you don’t have to worry about rebranding your website if you decide to offer new products/services and/or discontinue old ones. Not all entrepreneurs stick with the same business. They often opt to sell an old business that is doing well and then start a new one or even retire. If you decide to go this route, it will be difficult if not impossible to sell your domain name because no one will be interested in buying a domain with someone else’s name in the URL. Alternatively, you may want to protect your personal name and thus avoid selling it to another entrepreneur who may not use it in the same way that you have. Some people have names that are hard to spell or can be spelled in any one of a number of ways. If you have to regularly spell your name out for people then don’t use it as your domain name. A person with a relatively common name may find that his or her .com domain name has already been claimed by someone else. If this is the case, you could consider an alternative domain name ending. There are far more domain name endings than there were in times past, allowing you to get creative with your domain name and still bring in traffic. For instance, an attorney named James Doe may find that Jamesdoe.com has been claimed; however, he can still claim Jamesdoe.attorney. Avoid adding extra words to your domain name just to get a .com site unless the extra words are directly related to your services and product. For instance, an artist could use a domain name such as janedoeart.com; however, it would be unwise to create a long domain name such as TherealJanedoeartsite.com. There is really no right or wrong answer to this question. The fact is that a lot depends on your current and future business plans, what you are selling and why you are starting a website in the first place. Consider the above questions carefully if you are not sure if using your own name as your domain name is the right move for you personally. Even if you choose an alternative domain name, you should seriously consider purchasing your own domain name for future use, especially if the .com version of the name is available. It’s also smart to do some online research before choosing a domain name. If there is already someone in your industry whose name is similar to yours, it may be wise to choose an alternative domain name so that your clients don’t confuse you with someone else. Alternatively, look up any company names that you may be considering for your new business to make sure there are no businesses with a similar name. There are pros and cons for each of these options so check them out before you make a final decision. You may also want to check out Brandgy’s selection of branded websites. We offer fully functional domain names with ready-made websites that can be customized with ease to suit your needs and budget. Our branded sites all feature short, pithy .com names that your audience will remember with ease; what is more, our sites are available in various price points to suit the needs of any new business owner. Get in touch with us at your convenience to find out how we can help you set up a website that will generate traffic and sales both now and in the future. Choosing a Long-tail domain name – is it good for my brand?